Richard Egan ’39 starred in films and TV shows throughout the 1950s and 1960s including A Summer Place and Love Me Tender (Elvis Presley's first movie). Peter Casey ’68 created TV’s Frasier, one of the most successful sitcoms in television history. Bob Sarlatte ’68 is a regular on Late Night with David Letterman, an extraordinary comedian and the voice of the ’49ers. Ron Lagomarsino ’69 has directed numerous TV dramas and plays and picked up two Emmys and a Directors Guild of America Award along the way. Kevin Sullivan ’76 directed Guess Who, starring Bernie Mac and Ashton Kutcher. James Houghton ’76, who founded the Signature Theatre Company in New York, heads the drama department for the Juilliard School. Bart Sher ’77, who directed plays and musicals at SI, won a Tony for his direction of the Broadway revival of South Pacific and now serves as artistic director for the Lincoln Center. Brendan Quigley ’78 is a Production Electrician for a number of Broadway and touring productions, including the National tours of WICKED, PHANTOM OF THE OPERA, and most recently AMAZING GRACE opening on Broadway this summer. 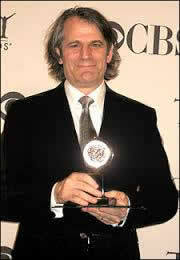 Jonathan Moscone ’82 heads the California Shakespeare Festival. Francis Jue ’81, the winner of the 2008 Lortel Award for Outstanding Featured Actor, has appeared numerous times on Broadway stages. Ted Curry '82 directs shows at SI and around the Bay Area. Robert Hewitt Wolfe ’83, a talented science-fiction writer, wrote and produced for TV’s Star Trek franchise and produced the Andromeda series. Chris Scarbosio ’84, a master sound editor at Skywalker Sound, won an Emmy for his work on The Young Indiana Jones series and was nominated for an Oscar for There Will Be Blood. Richard Reinholdt '85 has been named one of the Bay Area's top 10 actors; he starred recently in The Norman Conquests, produced by the Shotgun Players. Steve McFeely ’87 wrote the screenplay for Captain Ameraica and its sequels; he also won an Emmy for co-writing The Life and Death of Peter Sellers and also co-wrote You Kill Me, starring Ben Kinglsey, and The Lion, the Witch and the Wardrobe. Al Madrigal ’89 was the co-star of the TV sitcom About a Boy and a regular on Jon Stewart’s The Daily Show. He starred in Showtime's I'm Dying Up Here. He also has enjoyed tremendous success as a stand-up comedian. Gwendoline Yeo ’94 has acted on Desperate Housewives and the Jane Austen Book Club. 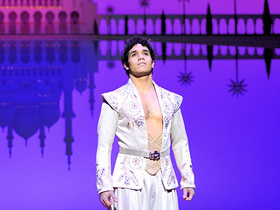 Adam Jacobs ’97 starred as Marius in Les Miserables as well as Simba in the Lion King and in Aladdin as the title character, all on Broadway. Céline Alwyn '98 has danced on Broadway in Bombay Dreams and has performed in Cirque Du Soleil's Dralion. She returned to SI as a guest choreographer for the 2011 dance concert. Delfin Lazaro '00 and his singing group, Legaci, backed up Justin Bieber during his world tour. Keelin Woodell ’08 has appeared on the CSI franchise and Go On with Matthew Perry. Jacqueline Toboni ’10 is a featured actor on Grimm. 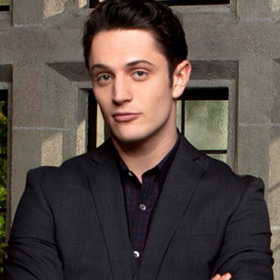 Colin Woodell ’10 has appeared in numerous episodes of Devious Maids as well as on the CSI franchise. 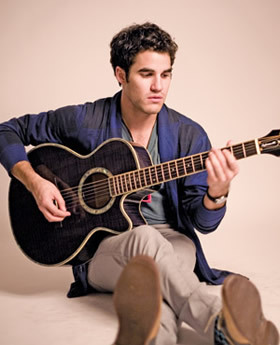 PICTURED ABOVE: Darren Criss '05 is a regular on Glee; his songs have gone to number one on iTunes and he has appeared on the cover of Entertainment Weekly and Billboard.